CROPNKATHY: Happy 13th Birthday Alex!!!! Well . . .13 years ago today, I became a mother, and it was love at first sight. It is so hard to believe that my "baby" is 13 and is now a teenager. Wow, how time flies! I wish you nothing but the best Alexander and may God bless you as you enter this new phase in your life. Have a wonderful birthday!! It has been awhile since I really made a masculine card, but I am pleased with how Alex's birthday card turned out. I was inspired by a couple of the challenge blogs, but I will come back later today to post supplies and the challenges I would like to enter this card into. I just wanted to get this photographed and posted before I gave it away. I hope you all have a wonderful Friday and thanks for stopping by. I hope your weather wherever you are is better than what we were surprised with yesterday . . . you guessed it . . . a huge amount of really wet, heavy snow. Anyhoo, I best get a couple of hours of shuteye before I have to get up to make a special b-day breakfast!! Such a sweet card!! Love the sentiment!! And, I'm in pink envy!! Your craft room is seriously awesome!! Thanks for joining us this week at Woodware USA! Fabulous card Katherine :-) I am sure Alex will love this !! :-) Happy Birthday Alex !! Katherine, this is fabulous!! What a great card!! Your scraproom is amazing!! Pink may just be the perfect color!! Love it! Oh Kathy! Can I come over to your house & play? Please? I love your craft room! And I love your card too! Your coloring is amazing! 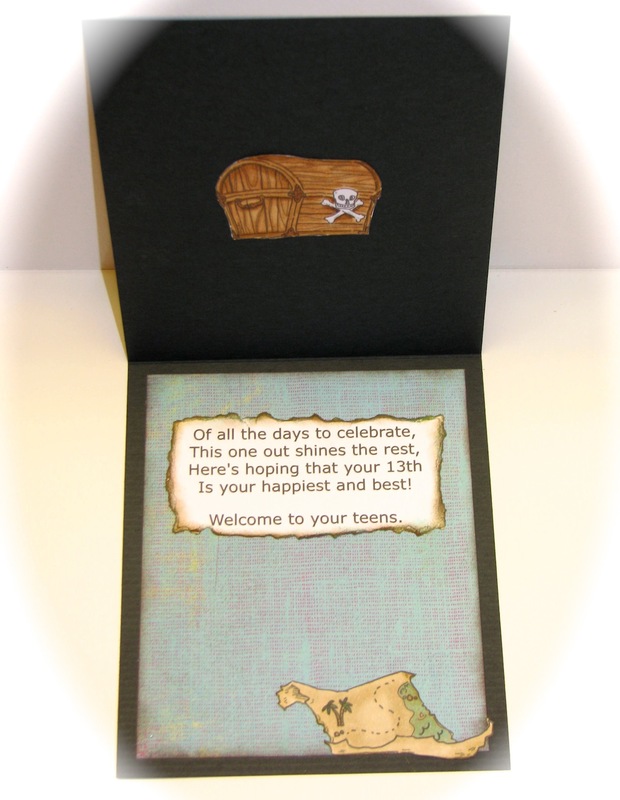 Thank you for joining us @ Card Ideas! A brilliant card for a young teenage boy. Thanks for joining us at CCM Spotlight. Hope to see you again. Cheers Caz. Adorable card and your coloring is beautiful! I LOVE your craft room!! Thanks for Cooking it up with Katie this week! Its perfect wee card for a teenager! What a great card!! I am sure your son loved it!! I love the way you did the background and finished off the inside.